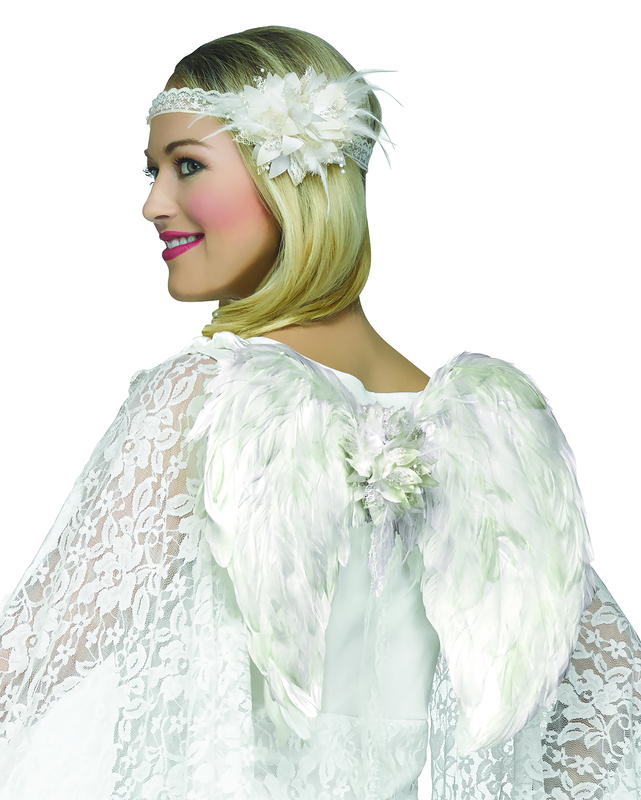 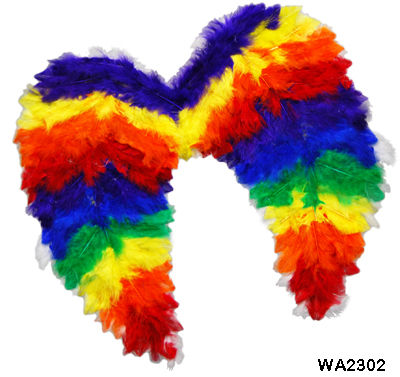 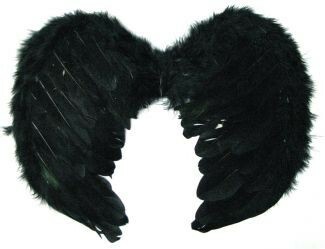 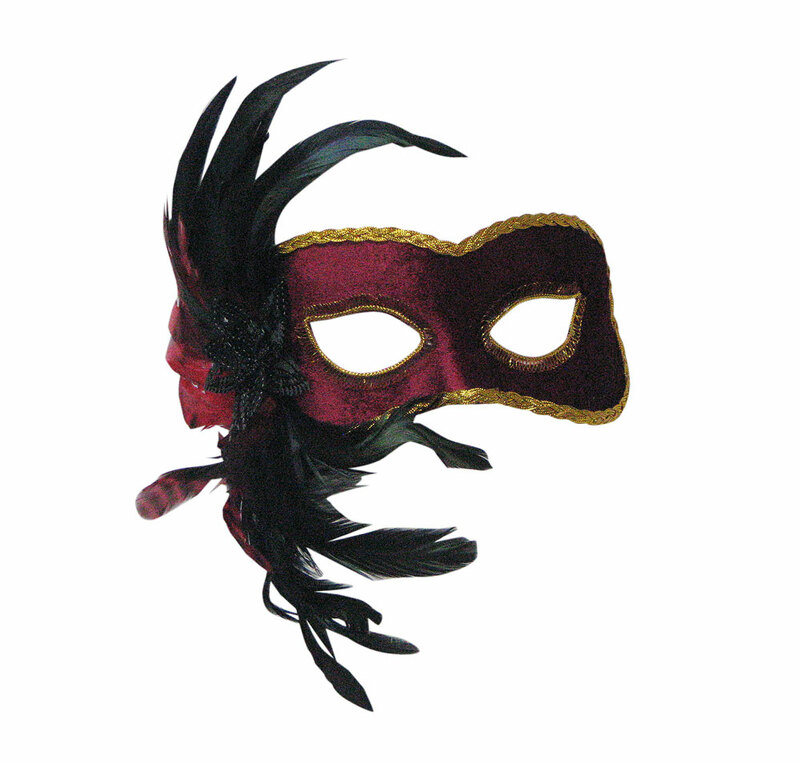 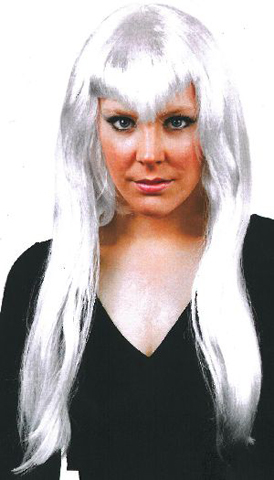 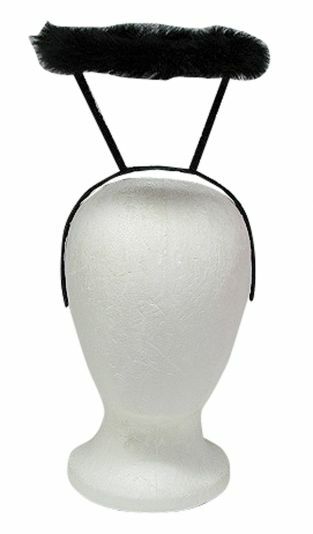 Black marabou trim angel halo on headband. 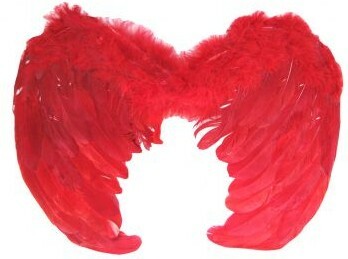 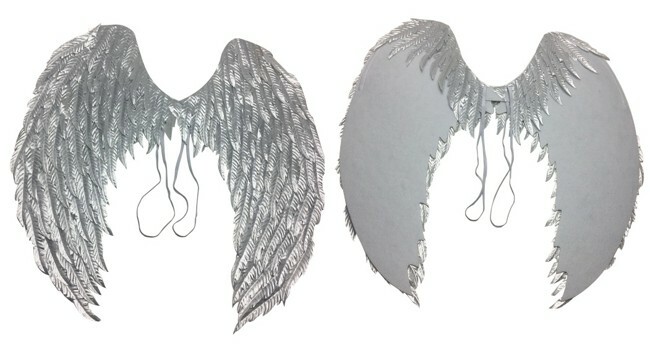 Red feather small angel wings with elastic straps.Also available in white and black. 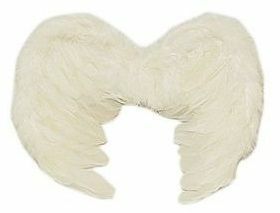 38 by 42cm.